Over the last century, Hilton has profoundly and positively altered landscapes, economies, and countries they operate in across the globe. As pioneers of the hospitality industry, innovation has always been in Hilton’s DNA, a trade that Hilton Kuching has reflected since opening its doors in 1988. Widely recognised as the beacon of Sarawak hospitality, the iconic hotel has emulated Hilton’s reputation for its dedication to quality and excellence in services. 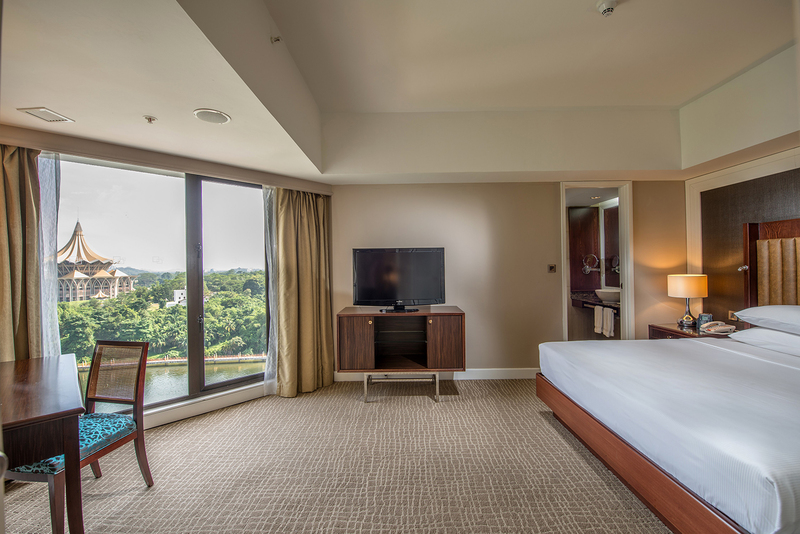 In line with this centennial celebration, Hilton Kuching is rolling out three exclusive packages for those looking to enjoy great stays, productive meetings, and memorable weddings with value-added rewards. Strategically situated to face the tepid Sarawak River, Hilton Kuching’s floor-to-ceiling windows ensure guests can partake the calm cityscape within the lovely confines of their room. Each stylish room features modern amenities including high-speed internet access, an LCD TV, and even special touches such as an indulgent pillow menu and Japanese cotton kimono for its Suites and Executive Rooms respectively. From now till 31 May 2019, book a stay for 100 hours (the equivalent of four nights) or more and receive 10,000 Hilton Honors Bonus Points and enjoy breakfast at 100 cents per person (valid for up to two persons per room) at Waterfront Café, the all-day dining restaurant serving both local and international favourites. The experienced team and in-house wedding planner at Hilton Kuching offers personalised wedding services and customisable packages for both indoor and outdoor weddings. 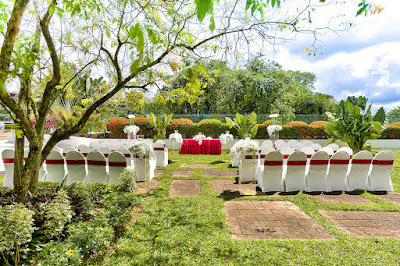 From traditional tea rituals, intimate ceremonies to wedding parties, couples can have the wedding of their dreams. Now, made even better with 20% off the standard package along with up to 100,000 Hilton Honors Points, which can be redeemed for a honeymoon anywhere in the world. For couples looking to have their Akad Nikah, an additional 20% off applies for ceremony held within the campaign duration. Package starts from RM 1,268 Nett. With 10 flexible spaces for various-sized events, Hilton Kuching is bringing small group meetings to the next level with this package. Valid for meetings ranging from 5 – 20 attendees, this introductory package offers delegates the choice of one value-added benefit to choose from such as free flow of coffee / tea throughout the day, complimentary usage of the LCD projector, one (1) complimentary guest room for the event organiser, or complimentary meeting room rental. Located only 25 minutes from Kuching International Airport, getting to your business appointment in the heart of the city has never been easier. 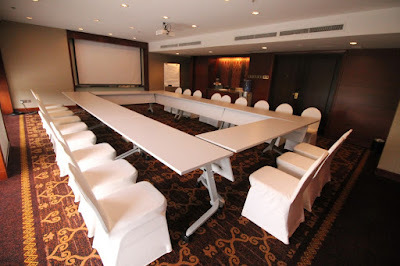 Meetings are priced at only RM100nett per delegate. For bookings or more information about any of the packages, call Hilton Kuching at +608 2223 888 or email kuching.info@hilton.com. Hilton Honors is the award-winning guest loyalty program for Hilton’s 17 world-class brands comprising more than 5,600 properties with nearly 913,000 rooms, in 113 countries and territories. Hilton Honors members who book directly through preferred Hilton channels have access to instant benefits, including a flexible payment slider that allows members to choose nearly any combination of Points and money to book a stay, an exclusive member discount that can’t be found anywhere else, and free standard WiFi. Members also enjoy popular digital tools available exclusively through the industry-leading Hilton Honors mobile app where Hilton Honors members can check-in, choose their room, and access their room using a Digital Key. With more than 85 million members, Hilton Honors offers hundreds of ways to earn and redeem Points. Members can redeem their Points for free nights, premium merchandise, and items on Amazon Shop with Points; make charitable contributions; or gain access to unique events through Hilton Honors Experiences (https://experiences.hiltonhonors.com/), such as exclusive artist connections and VIP concerts with Live Nation®, and race experiences with McLaren Racing. The program is free to join, and travelers may enroll online by visiting www.hiltonhonors.com. Connect with Hilton Honors at newsroom.hilton.com/hiltonhonors, and follow Hilton Honors on Facebook, Twitter, and Instagram.